Nevertheless, how bad could it be? 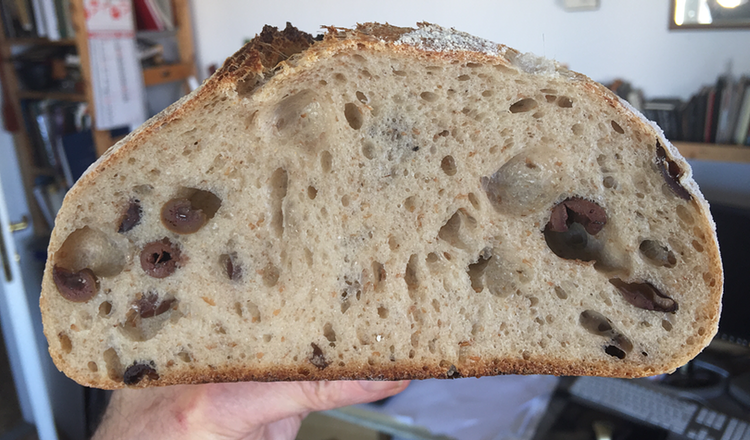 So I dutifully pitted a bunch of black olives and followed Hamelman’s recipe, with one small exception; he recommends leaving the bread to cold prove overnight, to let the olive flavour permeate the bread. I didn’t have time for that. Overall, the bread was good. And it had olives in it. 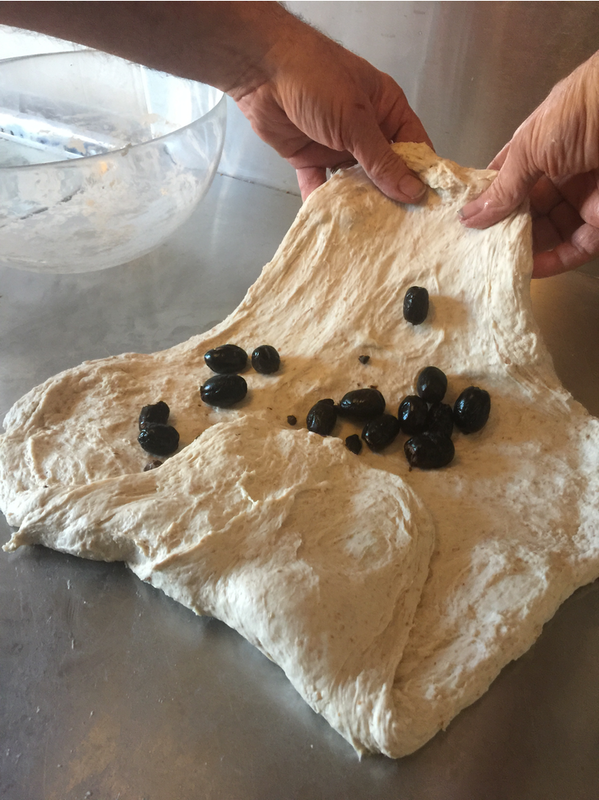 The tough part is actually getting the olives to stay in the dough. You’re supposed to do two bits of mixing, one to get all the ingredients bar the olives incorporated and to build a bit of strength in the dough. Then you add the olives and mix to get them evenly distributed through the dough. The trouble with this phase is that the little buggers are slippery as anything, doused in olive oil as they are, and so as you knead they pop out at every opportunity. Eventually, though, they do become part of the dough, rather than trying to escape its confines, and by the first big fold, they’re in there more or less for good. The first batch was good enough for to want to try it again, this time with some smaller but way tastier, and way more expensive, olives; the famed taggiasce. This time I was able to retard the shaped loaves for a while, though not for the full eight hours Hamelman suggests, and in my estimation the bread did taste a little better. But then, that could also have been the olives. I had also planned to make a fougasse with part of the dough. That will have to wait for another occasion.